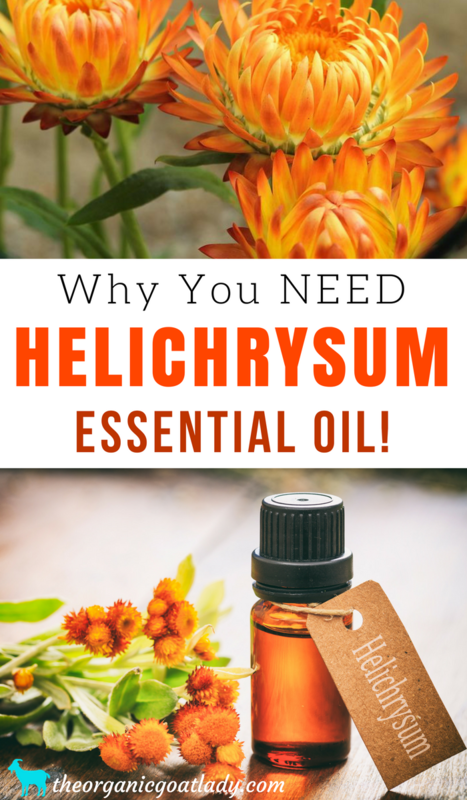 Why You Should Use Helichrysum Essential Oil! Helichrysum essential oil is an oil that you need to have in your medicine cabinet and body care routine! Helichrysum is an amazing essential oil that, unfortunately, many are not familiar with. It is an oil that I love and that I like to keep on hand for use with my own family. Trust me, after reading this post you will love it too! First let’s look at the scientific name of the Helichrysum that I use. It is Helichrysum italicum. For example, eucalyptus essential oil is an oil that I use on my kids for respiratory concerns and immune support. But, some varieties of eucalyptus essential oil can actually stop a small child’s breathing! We’ll discuss this more when we discuss eucalyptus as a future Oil of the Month! What is Helichrysum and where does it come from? Helichrysum is a flowering plant that is native to the Mediterranean; and it’s oil is steam distilled from it’s pretty, yellow blossoms. The Helichrysum Essential Oil that I use is made from wild-crafted plants that grow along the cliffs of Corsica. I prefer wild-crafted essential oils over organically grown essential oils, because this means that the plant was grown wild in its natural environment instead of on a farm. This ensures that the plant contains the proper chemical constituents. What does Helichrysum smell like? Helichrysum has an earthy, powerful scent; and some say that the flowers have a somewhat curry-like smell. Historically, Helichrysum was used in Herbal medicines in Ancient Greece. It has also been used throughout history in culinary dishes to impart a curry like flavor to foods. So now that we’ve discussed name, origin, scent and a few history facts, let’s delve right into what Helichrysum essential oil is used for and how it will benefit you! Let me first say that I am not a doctor! All of the information that I provide on this site is for educational purposes only and is in no way intended to diagnose, treat or prescribe. Please read my disclaimer page and/or the disclaimer at the bottom of this page for a full disclaimer statement. Helichrysum is good for many things! 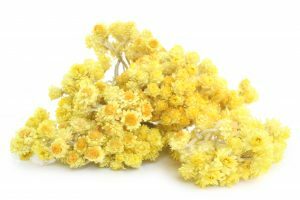 According to Be Young Total Health’s Desk Reference, they specifically select the Helichrysum that they use for its primary ability to target the nervous system, and to encourage nerve and cell regeneration. The regrowth of nerve cells is vital for healthy neurological regeneration. Be Young also values Helichrysum for skin regrowth at the sites of scars and burns. I personally use Helichrysum in my Scar Reducer Blend with great results! Jennifer Hochell Pressimone from JennScents Institute talks about Helichrysum in her Advanced Holistic Aromatherapy Course. One of the many things that she mentions about Helichrysum is how it is amazing for the skin. For scars, dermatitis, eczema and bruises. I love using Helichrysum in my skin care products! Belly Rub, that I created for pregnancy stretch marks. Hydrating Facial Toner, that I use for hydrating and nourishing the skin. Skin Irritation Rub, to soothe irritated skin. Jennifer also discusses the emotional benefits of Helichrysumy including: bitterness, repressed anger, frustration, irritability, jealousy, loneliness etc. 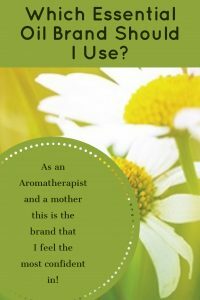 If you are interested in essential oils for emotional use with children, then be sure to read Childhood Emotions and Essential Oils! Helichrysum is also the oil that I use to soothe the pain from the sting and bites of insects such as ants, bees and spiders. Whenever my kids come to me with ant bites, I immediately layer lavender and Helichrysum on the bite. Like I said, this is an oil that I like to always have on hand! This oil is one of Seven Essential Oils That You NEED To Have In Your First Aid Kit! There are really no known contraindications for Helichrysum essential oil. A contraindication is a medical reason for not using something. In this case it is a medical reason for why you should not use Helichrysum. The only precaution that I have heard of is that there is not enough known about the use of Helichrysum during pregnancy and breast-feeding to say for sure whether it is safe or not. So consult your doctor before using. You also want to make sure that you are using a good quality Helichrysum. As an Aromatherapist I would never recommend buying an essential oil at a local store. I can almost guarantee you that it is not a pure oil. There are no government regulations on essential oils, so an oil can be diluted by up to 50% and still be marketed as a pure oil. If you have a brand that you feel confident in you can use that. But, if you aren’t sure about where to get Helichrysum, or if you would like to check out the brand that I use, you can find it on my business website Healing Blends For Life. As I said above, I prefer this brand of Helichrysum due to the fact that it is wild-crafted versus being just organic. I hope you enjoy Helichrysum! What do you like most about Helichrysum? Did you experience any results after using Helichrysum? Do you have any additional uses to add to the above list? 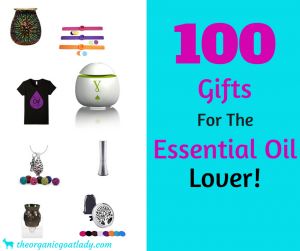 8.Why You Should Use Geranium Essential Oil! Never heard of this particular oil before and we thought we knew our essential oils. Will definitely check it out soon. Thanks for sharing.